Well, wish I could write my first blog post in a long time about a new Megadeth album; but the band is going through yet another line-up change and it is a big one. The first announcement came from Shawn Drover. It was a brief statement where he said he wanted to pursue his own musical interests. When I first saw his statement posted, my immediate thought was that this was definitely a good thing for the band. He is a nice person and perhaps a reliable drummer; but I’ve never found his drumming spectacular – something I can say about all other Megadeth drummers, especially Gar and Nick – and I think his playing lacked enthusiasm and often times sounded plain and boring. So I thought that his departure could pave the way for a new and better-fitting drummer and I was excited about it. What I didn’t really see coming was Chris Broderick’s announcement which came soon after Shawn’s. A lot of the articles that mentioned both Chris and Shawn were published the next day; but Chris announced his departure just a few hours after Shawn did. 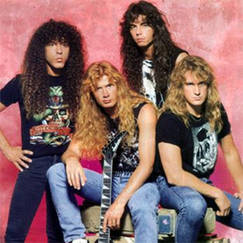 The reason why it was more shocking than Shawn’s announcement wasn’t because we were hearing about a member’s departure – Megadeth has had so many line-up changes that it’s not really a surprise anymore – it was because two members quit right after one another, which many people took as something bad happening behind the scenes. 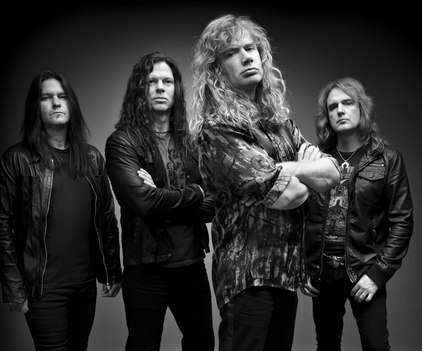 Anyone who is a fan of Megadeth knows that this band is a very well established one – i.e. it’s not a new band trying to find its identity or sound. 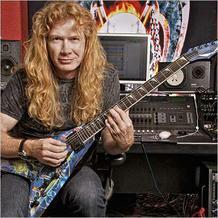 They also know that Dave Mustaine – as the founder, main songwriter, guitarist and vocalist of the band – has the final say when it comes to the direction the band will take. For better or worse, this has always been the case and to expect otherwise is just not knowing the history of the band. Yes, line-up changes are hard and you never know if the new members will have a good chemistry with the rest of the band; but I’m actually excited about what’s next for Megadeth. I’m particularly thrilled about the possibility of hearing a new drummer in the band – Shawn just wasn’t a good fit and I know I’m not alone in thinking that. Act of Defiance has released a teaser for one of their songs called “Trowback” from their debut. Like I said, I get why they are pursuing their own project and I do think Chris is a talented guitarist, but this sample sounds a little generic and I didn’t find it all that interesting. It’s not different than any of the newer metal bands out there. To me, it’s another example that just because you can play the fastest, craziest solos doesn’t mean that you’ll be great at creating good, original music. Of course it’s just about a minute and a half sample from only one song of the album; so I will still listen to the entire record before I make a full judgment, but this doesn’t sound promising to me. They need to stop trying so hard to be the most metal band out there – they just need to let things flow and see what happens. I think they’d have a better chance of getting their names out there that way. Here’s the YouTube video of the teaser, see for yourself. Another route is hiring two new guys; and, as expected, rumors are abundant on this front too. Jeff Loomis, Kiko Loureiro, Jeff Waters, Alex Skolnick, Mike Portnoy, Chris Adler and many others have been rumored as possible replacements. Of course the longer the Megadeth camp stays silent, the more names we’ll see pop up and since none of these rumors have any sources, no one should spend too much time on them without an official announcement from the band. Dave Mustaine has tweeted recently that he is starting rehearsals for the new album (he also tweeted last week that he was going to audition “one of his picks” for the guitarist position), so the implication is that the new members are pretty much determined. We’ll just have to wait a little longer for the press release. I’m excited to be auditioning one of my final picks for my new guitarist today.